Producing some of the most awesome sandwiches in America, Capriotti’s is a Delaware treasure. This famous restaurant, with locations in different parts of the country, also offers catering services. Capriotti’s was founded in 1974 by siblings Lois and Alan Margolet. Inspired by the sandwich shops of Delaware, the restaurant was named after their grandfather Philip Capriotti. Because of their immense popularity in the state, Capriotti’s soon offered franchising opportunities. Now, Capriotti’s sandwich shops can now be found all over the country. Their specialty, of course, is their sandwiches. The secret behind the excellence of their sandwiches is superior attention to detail, as encapsulated by their signature roasted-overnight fresh turkey. While they are better known as a restaurant, Capriotti’s has branched out into catering. As always, they promise (and deliver) high-quality catered food. 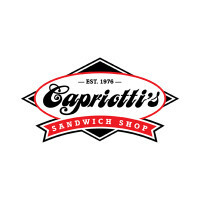 As one of the established names in the restaurant industry, Capriotti’s have a strong reputation in providing great food at the best price. One advantage of their catering services is they have all kinds of selections available for you. Beyond sandwiches, they offer a wide range of meals for all occasions. Capriotti’s, just like any great catering service, offers event-specific catering packages. From family picnics to business meetings, they will serve food according to the occasion. When you talk about Capriotti’s, the first thing you will look for will be their sandwiches. The great news is that just about all of their sandwich offerings can be availed in their catering packages. From their signature Bobbie turkey sub to their vegetarian subs, you can pick a tray (or create your own tray) that best suits your tastes. It’s basically like ordering sandwiches in one of their stores. However, their catering services are more than just about their signature sandwiches. They also have other great offerings such as their salad and meatball bar. They even offer box lunches. There are different ways to place your catering orders in Capriotti’s. You can walk into their shop, give them a call, or place your orders online. Just like in other catering services, it is recommended that you place your orders at least 24 hours before the event to ensure availability and adequate preparation time. While they are very popular as a restaurant, much is left to the imagination regarding their catering services. The good thing is their reputation in catering has been equally strong. As always, their sandwiches get the bulk of the positive reviews. Everything from the toppings to the bread was spot-on, and customers greatly appreciate it. Perhaps just as noteworthy, their other food items have also garnered strong approval from clients. For example, their meatball and salad bar are positively received. Last but not least, the quality of Capriotti’s service has been widely commended. For a restaurant with multiple franchises, sustaining a generally strong service feedback is an achievement in itself. Your orders can be delivered at your venue or you can pick it up at the Capriotti’s store nearest you. Price is at par with other sandwich catering services, but the value for money is constantly rated as excellent.